In April, Bus Stop looked at what King County Metro’s long range plan — envisioning our bus network in 2025 and in 2040 — might mean for Capitol Hill routes and the riders on them. Today I want to look at how the future network sketched out by Metro’s planners imagines how things will change in Capitol Hill’s connecting communities, First Hill and the Central District. Metro defines a frequent route as a route running at 15-minute or better frequency during most of the day. Evening service, however, can be another story, but we are going to look at the frequent routes Metro has included in its long range plan as those are going to be the most important ones for providing reliable neighborhood service. A line waiting to board an 8 on a recent weekday stretches almost to the end of the block. 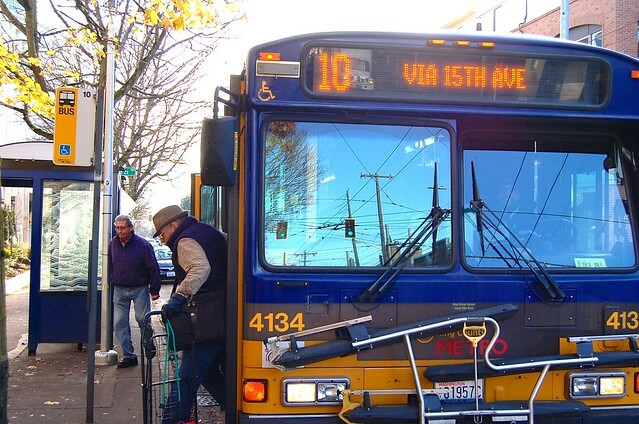 Few bus routes in Seattle are developing a reputation for unreliability like the 8. But let’s be fair: the 8 has it rough. It’s a huge route, traversing the entire Rainier Valley, the Central District, Madison Park, Capitol Hill, north Downtown, and Lower Queen Anne. And it’s the go-to route for people to get between the city’s fastest growing job centers of South Lake Union, Denny Triangle and Capitol Hill. Unfortunately, it depends on the same road that most people in the same neighborhoods use to get to I-5: Denny Way. There are no other options to get across the freeway to Capitol Hill save heading to downtown streets which are already packed as well, or taking Lakeview Boulevard, which would be a detour so long it wouldn’t benefit anyone. 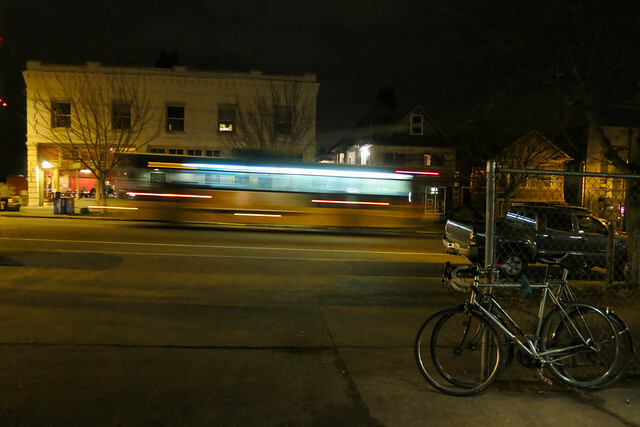 Bus Stop | How’s your Capitol Hill bus route doing? It’s been five weeks since Seattle started seeing added service on King County Metro buses. It is only the first phase in what has been promoted by members of the city council as the “best bus service Seattle has ever seen” and the improvements that have been made on the Hill are more targeted than the ones being applied elsewhere in the city, but I’m devoting today’s column to what Capitol Hill bus riders are seeing at the stops. The most noticeable change is the return of the 47. This Summit Avenue/Bellevue Avenue bus, deleted in September (we gave it a nice sendoff) is back, with even more limited service hours than it had before. With only 12 minutes on the schedule from one end of the route to the other, and half of the route being shared with the 43 along Pike & Bellevue. this bus returning to the hill is a large chunk of the service hours Capitol Hill is receiving from the increase in the sales tax rate and car tab fee. The proposals for improving the bus network in Capitol Hill that have been coming from King County Metro over the past few years have varied pretty widely. From an emergency service proposal to staunch the effect of massive bus cuts, to a Seattle-only expanded service proposal that hasn’t even taken effect yet, the ideas for changing bus service on the Hill have been all over the place, and it would not be unreasonable to assume that the average Hill resident has not been able to keep up with them. This week, Metro released its latest University Link restructuring proposal for Capitol Hill and northeast Seattle, set to take effect in the first quarter of 2016. After taking comments regarding its two alternatives, Metro has released a third proposal, dropping most of the really frequent service and retaining almost every area’s direct connection to downtown. The result is a proposal that falls short of a frequent service grid that was its clear ambition with alternative 1. The 25 is probably the most infrequent bus to run through Capitol Hill during daylight hours, and is also very likely the one with the best views of Lake Union and the Olympic mountains.